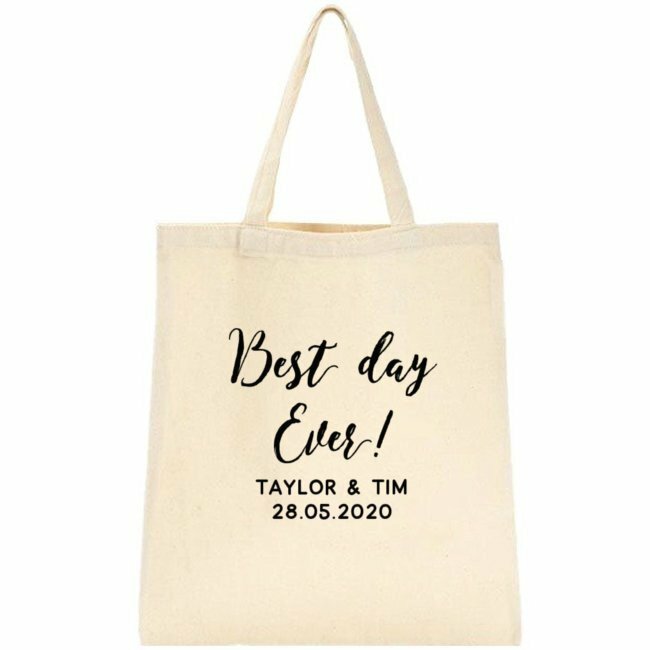 Celebrate your best day and have the Best Day Tote Bag state it! Versatile with options to personalise the message itself, have your creative thoughts flowing for a tote bag of your very own. Be it fun, quirky or inspirational, today and everyday is the best day for celebration! Perfect for parties, gift these to your special loved ones or treat your guests on your special day!